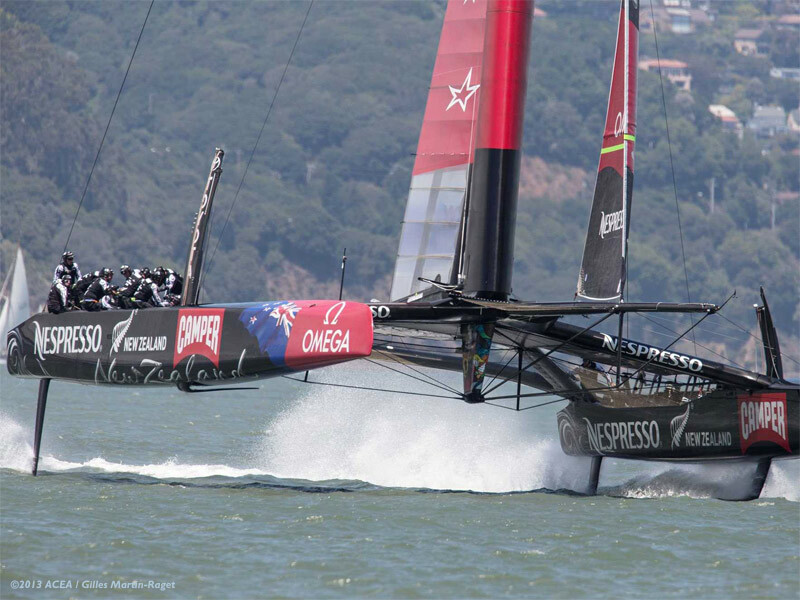 Today’s racing brought an amazing finish to the 2013 America’s Cup with the spectacular comeback by Oracle Team USA. The America’s Cup never ceases to provide a mesmerizing sporting event. As a participant in three America’s Cup series, I am astounded by this year’s event. I was there in 1983 to witness the unbelievable comeback by Australia II. Now, 30 years later, it has been surpassed by one of the outstanding comebacks in sporting history. 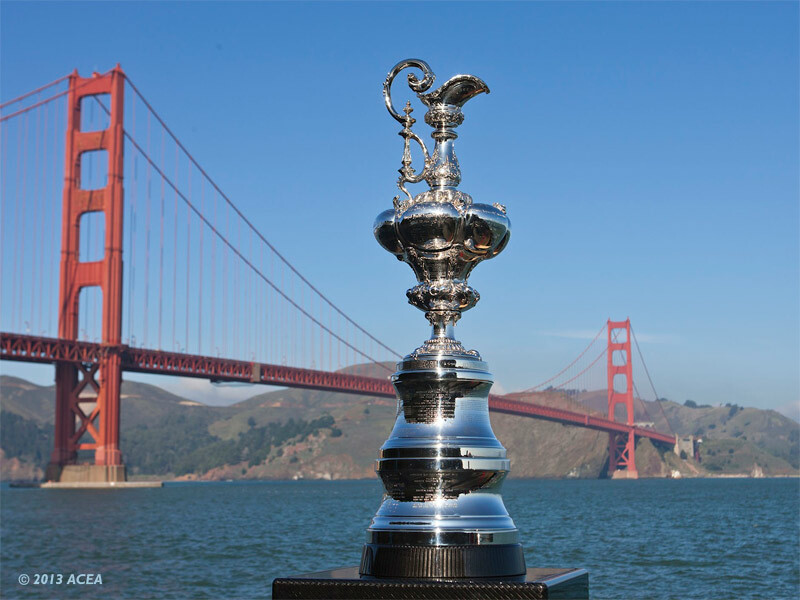 The America’s Cup is the oldest sporting trophy in the world. In 1851, the yacht America, representing the New York Yacht Club, sailed to England and won what became known as the Hundred Guinea Cup. The trophy was then renamed the America’s Cup after her. The New York Yacht Club retained the cup for 132 years, the longest winning streak in sporting history. In 1983 the yacht Australia II broke this reign. Australia II was revolutionary in design being the first 12 meter class yacht to have a winged keel. This made her fast but despite this she found herself down 1-3 at one point in a best-of-seven series. Australia II clawed her way back to unseat the cup 4-3 and break the NYYC reign. Today Oracle USA has clawed her way back from a deeper hole than did Australia II in 1983. The series was to be a best of 17 races but Oracle found herself in a bigger hole before the series started. 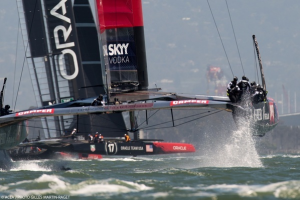 Due to the assessment of a two race penalty for some rules infringements in a different event, Oracle needed to win not nine races, but eleven, to retain the Cup. 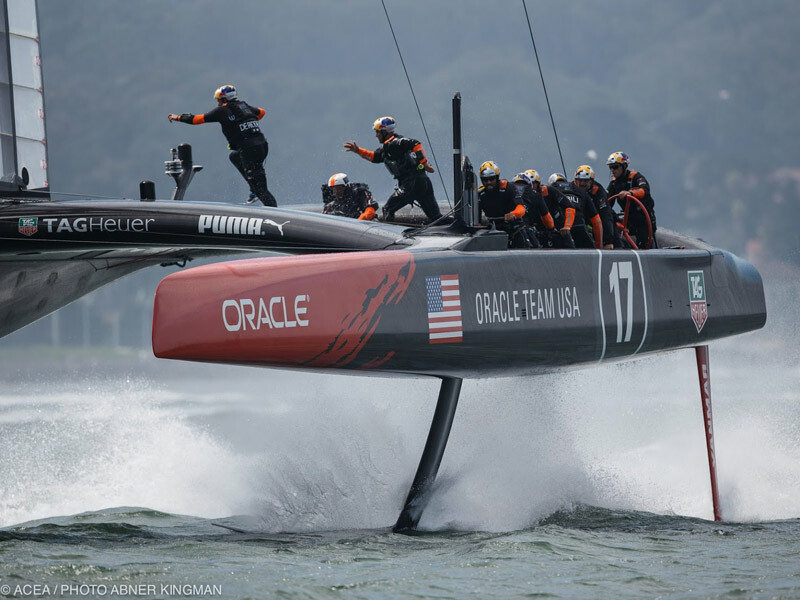 Oracle USA, the defender of the America’s Cup after winning it in 2010, did not have the benefit of the warm-up elimination races like the New Zealand team and started slower and fell far behind on the scoreboard. It was to the point where New Zealand had eight wins and only needed to win one more while Oracle had to win eight straight. Over the last week Oracle has completed this impossible task by improving their boatspeed and tactics through hard work and persistence to climb this impossible hill and clinch the breathtaking series. The 72 foot long hydrofoiling catamarans have been an eye-opening spectacle to watch. 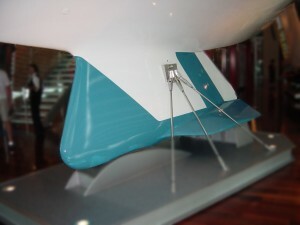 With a wing sail the size of a 747 airplane wing on end, and the boats travelling three times the speed of the wind, lifting out of the water on hydrofoils, they were flying in their own right. 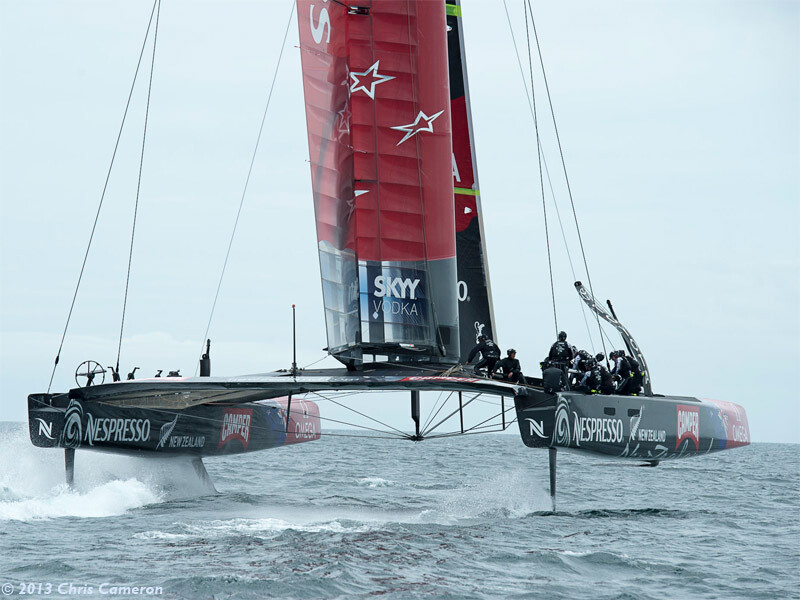 Click to Scuttlebutt for information on the individual races in this 2013 America’s Cup series. This entry was posted in Yacht Racing and tagged americas cup by Philip Thompson. Bookmark the permalink. A great article. Thanks Phil.